They were found left for dead on the night before Christmas. They were found left for dead on the night before Christmas. 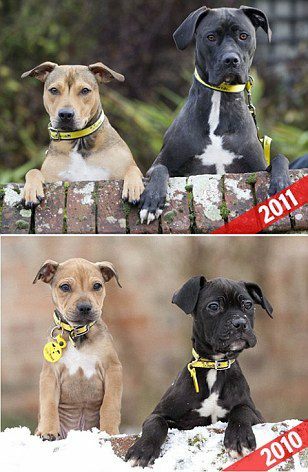 But a year on, the MailOnline has caught up with Brandy and Pudding and can tell you about their remarkable recovery. Both aged around 12 weeks when they were found, they have met up once more and appear much healthier than they did a year ago. After being nursed back to health at the Dogs Trust in Newbury, the adorable puppies were adopted. Brandy now lives with Mark Wright in Berkshire while Pudding is in the care of Kat Eighteen. 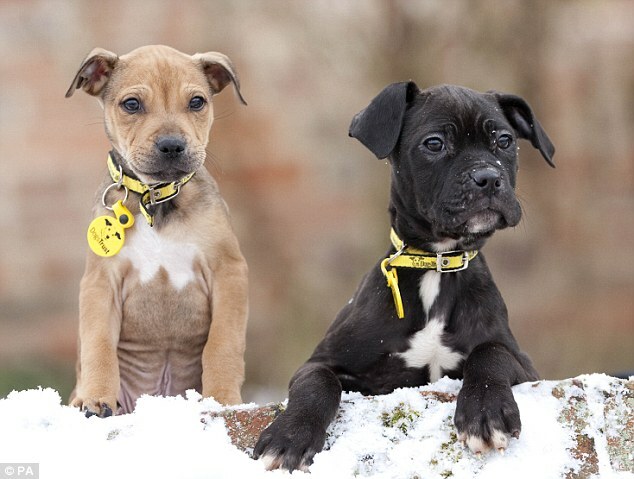 When they were found, Brandy and Pudding were lost, starving and alone during one of the coldest winters on record. Brandy, a Staffordshire Bull Terrier, was severely underweight in Reading, Berkshire, while Pudding, a boxer cross, was found in woodland with a distended stomach. 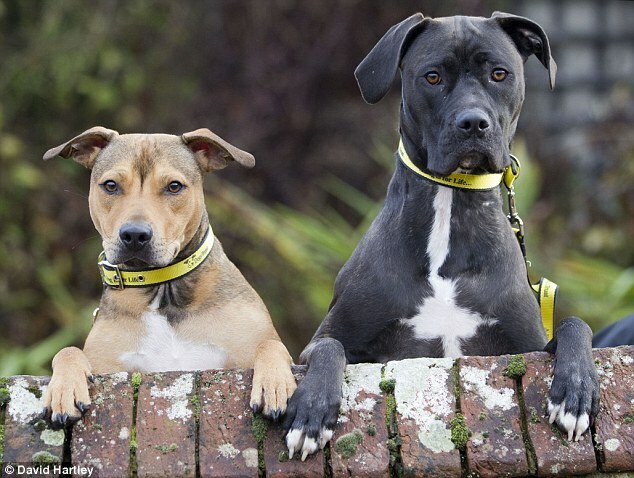 ‘Pudding and Brandy survived against all odds and they now lead happy and healthy lives with their new owners. ← The coolest kids bedroom ever!